A disadvantage of most other ride-on toys is the fact that, unlike the Wheely Bug, they are not on castors. Therefore, inferior ride-ons are more likely to get stuck when faced with an obstacle. Not so with the Wheely Bug. Aside from its cute, adorable image, the castors are its best feature. Wheely Bugs can move in any direction - forwards, backwards, sideways, round and round. 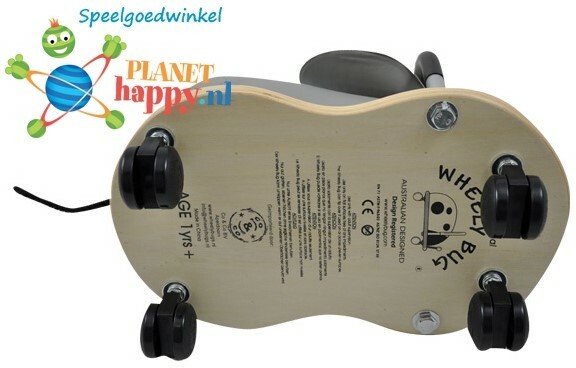 They allow the Wheely Bug to spin at 360 degrees, making escape from a tight space easy. These days, many people have wooden and laminate flooring in their homes. It is on these types of surfaces that the Wheely Bug is in its element. It is also great on tiled floors. However, whilst it will still work on carpeted floors, the Wheely Bug will never reach its full potential. 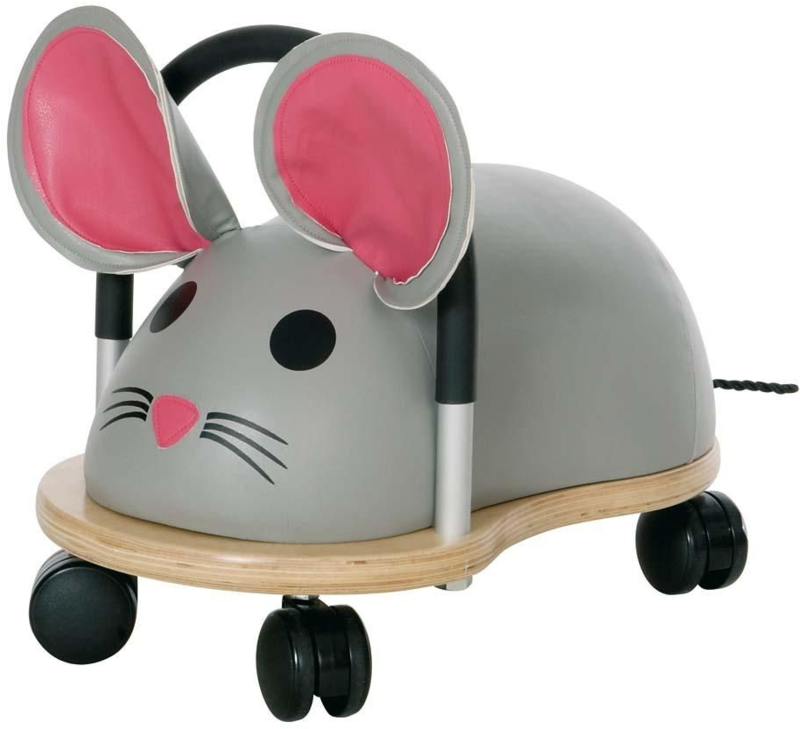 It is also an indoor toy - its wheel are simply not geared (nor are they meant to be) towards outdoor use. The Wheely Bug screams quality. It is stylish and very well made. Unlike most other toys, the Wheely Bug looks good as it sits proudly in the corner of the room. In fact, it will quickly become part of the furniture. It is made from high quality components and has won multiple awards. The spongy seat is comfortable and made from pvc-free polyurethane leathroid. This means that it is very easy to wipe clean. The base is made from plantation grown poplar plywood and the handle is aluminium. The feelers are produced from stainless steel springs and are practically impossible to pull out. Younger children will enjoy watching them spring back and forth. In fact, the Wheely Bug is so robust it is hard to imagine a child being able to break it at all. Wheely Bugs have a long life span. When the plastic cars and trikes are cracked, worn and broken, the superior Wheely Bug will still be going strong. It will last and last for all your children and beyond.